Lees meer over Helpen & Inspireren. This is Ramille, a resident of BASECO. 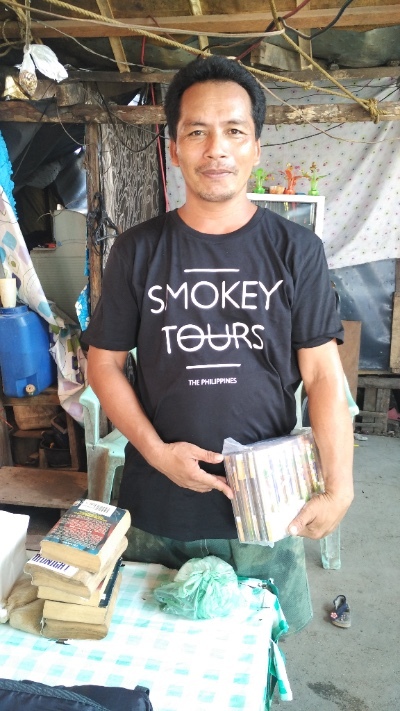 He voluntarily collects educational books to freely lend to the kids in BASECO. He believes that by creating a habit for reading, kids may eventually elevate themselves from their impoverished state of affairs. Staring early this year, we have been supporting him in this selfless drive by soliciting guests to donate books and funding to build shelves for all the books.